Gambling laws are complex and the demands for change are constant, as legislators struggle to keep up with emerging technologies. To simplify things, we here at OnlinePokieGame.com have provided an overview of the pokies legislations that apply in 2018, including the reforms and cases that are currently in effect or underway that could result in changes down the pipeline. Bookmark this page to stay abreast of any updates or changes to Australian pokies laws. Each Australian state and territory has its own laws regarding the pokies, including factors relating to the amount of machines a venue can offer, the betting limits imposed and the amount of money a machine must pay back. New South Wales pokies laws – Pokie machines in NSW must adhere to the rules set by the NSW Office of Liquor, Gaming and Racing. The state leads Australia with the maximum number of pokie machines allowed set at a huge 100,500 – 1,500 of which are located within Sydney’s The Star Casino. Pokies in NSW come must pay back a minimum of 85% of the money spent on it each year, with maximum wins capped at $500,000. Victorian pokies laws – All electronic poker machines in Victoria must meet specifications set by the state government which are regulated by the Victorian Commission for Gambling and Liquor Regulation. The maximum number of pokies allowed in Victoria is 30,000 – 2,500 of which you’ll find in the states Crown Casino. Victorian pokies must pay back a minimum of 87% of the money spent on it each year. Queensland pokies laws – The pokies in Queensland are regulated by the QLD Office of Liquor & Gaming. There is no maximum number of machines allowed within the casinos so the number of pokies in QLD varies, sitting around the 50,000 mark. The RTP for Queensland pub and club pokies is a minimum of 85%-92%, while pokies in the casinos must payback a minimum of 90%. Win limits are capped at $25,000. South Australian pokies laws – SA pokies are regulated by the Office of Liquor & Gaming, with the maximum number of machines capped at 13,113. Note acceptors are banned, with machines accepting coins only. Machines in pubs and clubs are limited to wins of $10,000, while machines in the casino have no win limits. The minimum RTP on pokies in SA is 87.5%. West Australian pokies laws – In WA, pokies are strictly limited to the Crown Casino and you won’t find games offered elsewhere, with all machines regulated by the Department of Racing, Gaming & Liquor. The casino allows a total of 1,750 pokie machines, with maximum bets capped at $225 (the highest in the country). There are no win limits, and machines must pay back 90% of the money spent on it each year. Tasmanian pokies laws – Tasmanian pokies are regulated by the Department of Liquor and Gaming, with the state allowing a total of 3,680 poker machines amongst the clubs, pubs and two state casinos. Note acceptors are only allowed in the casinos, with pub and club machines accepting coins only. There are no win limits on Tasmanian pokies, and all machines must have a minimum RTP of 85%. The Tasmanian government is in the process of finalising the requirements for the Gaming Control Amendment (Community Interest) Act which makes it a requirement for the community to have a say in any new license granted for the operation of electronic poker machines. The requirements of the community interests test are expected to be finalised by June 2017. ACT pokies laws – The ACT Gambling & Racing Commission is responsible for poker machine regulations in the state, with the pokies only allowed at clubs and pubs and not in the Casino Canberra. There are no win limits on ACT pokies, and the minimum RTP is capped at 87%. Northern Territory pokies laws – Pokies in the Northern Territory must meet the guidelines set by NT Gambling & Licensing. There are 2,195 gaming machines in the NT, located throughout two casinos and various pubs and clubs. There are no maximum bet limits imposed by casinos (although pubs and clubs are capped at $5 per spin) and no win limits. Pokies in pubs and clubs must offer a RTP of 85%, while the casinos must offer 88%. Calls for a national pokies reform in Australia are underway, led by anti-pokies crusaders like Nick Xenophon and Andrew Wilkie. Politicians are calling for changes to the current regulations, including things like lowering maximum bet limits and enforcing mandatory pre-commitments. The national pokies reform would also like poker machines to come with clear warnings that the odds of the game are against the player. Whether or not any of these changes will be introduced remains to be seen, with plans receiving equal parts backlash and support from other politicians and industry insiders. Aussie punters are often concerned about whether or not playing the pokies online is legal. While the online gambling laws are complex, the bottom line is that as of 2018 it is completely legal and above board for Australian players to access real money pokies on the Web, provided the casino they’re playing at is licensed by a regulated offshore gambling jurisdiction and not operated within Australian borders. The laws regarding online gambling are covered by the Interactive Gambling Act (IGA) of 2001. The IGA was implemented by the Howard government and while it has undergone slight changes over the years, there is constant pressure by anti-gambling politicians to have the IGA updated to more accurately suit today’s technological landscape. Currently, the IGA prohibits any Australian-run company from providing real money gambling services to Australian players. 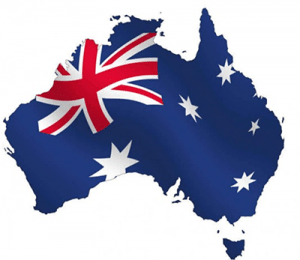 It also prohibits Australian vendors from advertising any online gambling services within our borders. What the IGA does not prohibit is gambling online at offshore casinos – so the loophole is that Aussie punters are free to play the pokies for real money online, as long as the casino they’re playing at is legally run overseas. All of the online casinos you’ll find recommended on our site are legally licensed and regulated by leading offshore gambling jurisdictions and adhere to strict laws and guidelines set by their country of origin. The laws of the IGA are currently on rocky ground due to a proposed amendment to the IGA that was submitted to the Australian government in October of 2016 following the Review of Offshore Wagering. The review suggests the implementation of a National Consumer Protection Framework (NCPF) to be met by all licensed online wagering service providers, with the recommendation to prohibit illegal offshore operators. The proposed NCPF includes 11 harm minimisation measures to be introduced, including a national self-exclusion register for online wagering, prohibition of lines of credit being offered by online wagering providers and a voluntary opt-out pre-commitment scheme for online wagering. What this means for the future of online pokies laws in Australia is unclear. We will continue to monitor the situation closely and update this page with any changes. In late 2016, a case was filed by high profile law firm Maurice Blackburn on behalf of South Australian resident Shonica Guy against Aristocrat Technologies, one of the largest poker machine manufacturers in Australia. 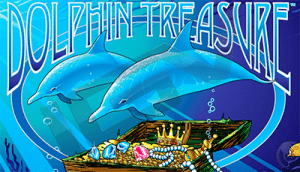 Ms Guy, who lost large sums of money playing Aristocrat’s Dolphin Treasure pokie game over a 14 year period, alleges the Aristocrat machines are in breach of consumer law due to the deceptive ways they convince players they are winning when they are really losing. The court documents submitted allege that Aristocrat’s machines are rigged due to an uneven distribution of symbols across the reels, and that the claim of a theoretical return to player (RTP) of 88% is misleading. 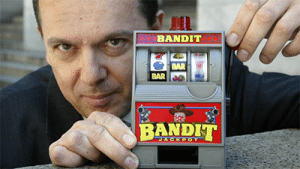 If the case against Aristocrat is successful, it could result in a landmark action that could have a dramatic impact on the Australian poker machine industry forever. Ms Guy is not claiming any financial compensation for her losses, but if she wins it opens the door for countless more law suits to be filed against Aristocrat and the pub and casino owners who offer these machines within their venues. Bookmark OnlinePokieGame.com to stay up to date with any news about the Aristocrat Technologies pokies lawsuit as it becomes available.